Know your load. Consider the size of the load being stored and not just the size of the pallet. Products loads sometimes overhang the pallet. If this is the case for a load you’re storing, it needs to be accounted for in the shelving design and construction. Account for the shock factor. Rack failure typically occurs when shock load factor isn’t taken into account during construction of the racking system and someone puts products down with too much force. Even if your racking structure is rated for 4,000 pounds, add about 25 percent onto that to account for shock load factor. Leave room to maneuver. A general rule of thumb is to add six inches between the top of your load and the next beam so you have enough lift off height. If you plan to store two pallets on a rack, add 9 – 12 inches to the width of your design to provide enough room in between upright frames and to move pallets on and off the shelf. And don’t be afraid to let your load overhang the shelving slightly. Three inches on any side is enough. Understand building codes. Either brush up on local building codes (and any recent changes to those codes) or work with a professional familiar with those rules and regulations. For example, if you have fire sprinklers installed, the top of your load must be at least 18 inches below the sprinkler head. 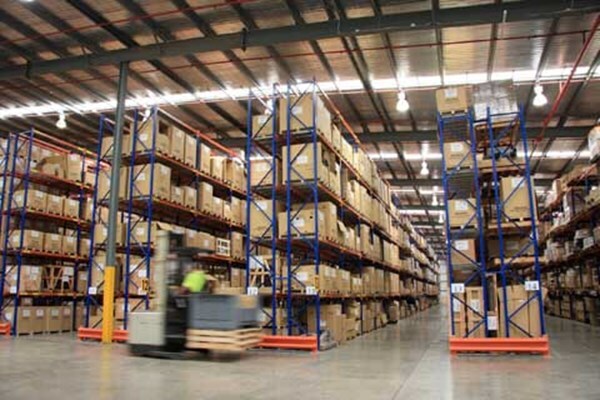 When in doubt, engage the help of a professional shelving and storage solutions provider that will take all of these factors and more into account to ensure your job is done right the first time.